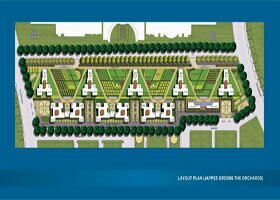 Jaypee Greens The Orchards a well situated project in Wish Town Noida. As name is showing, Jaypee Orchards is full of Greenery with nature friendly environments because after this project there are no high-rise building would be developed in Wish Town Noida. 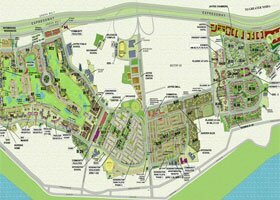 After the end of Jaypee Orchards there are big sizes of farms land has allotted by Noida Development Authority. After the farm house there is river Yamuna is running so the residents of this amazing residential project are going to get the spectacular view of river Yamuna and other side is Golf Course from their balconies.